Rush to the burning building and help the firefighter winch himself up in the crane. When he’s high enough to tackle the flames, use the retractable hose to put out the fire. Then climb through the window to make sure the building is all clear. Young children will love creating endless rescue adventures with this easy to build set, designed to encourage early construction skills. Use this set to talk to children about fire safety and the important work of firefighters in our communities. 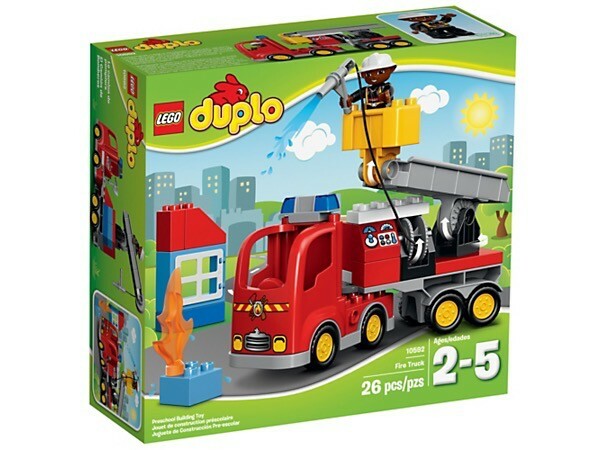 DUPLO bricks are made to be fun and safe for smaller hands. 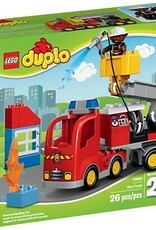 Includes a firefighter LEGO DUPLO figure.